+Ford Europe has begun research into a virtual pothole map which could provide real-time pothole warnings to drivers. Winter cold, ice and snow all cause roads to freeze, thaw and ultimately break apart, a situation compounded by heavy spring rain that fills the holes. 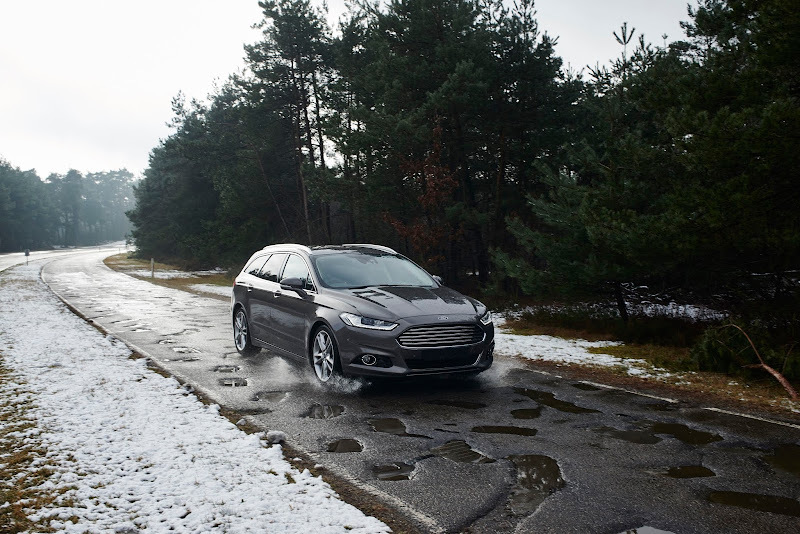 Many cars including Ford's Galaxy, Mondeo and S-MAX, already use on-board sensors for Continuously Controlled Damping with Pothole Mitigation that detects potholes using sensors and adjusts the suspension to help reduce any potential damage. Engineers are now researching also using cameras and embedded modems, at the Ford Research and Innovation Center, in Aachen, Germany. Together, these technologies would gather detailed information on the potholes and beam it to the cloud – where it can be made available to other drivers – in real time. Uwe Hoffmann, research engineer, Advanced Chassis Control Technologies, Ford of Europe. Further research is also exploring the use of an active suspension system designed to massively reduce the severity of bumps and rough road surfaces. +Ford Europe already tests new cars on a testing road at Lommel Proving Ground, in Belgium, using replicas of some of the world’s worst potholes.